Vitiligo is although not a very common problem but the name is not so common. Commonly vitiligo is known and recognized by the white patches on the skin. There is not age restriction on vitiligo and therefore the treatment for vitiligo can be sought at any time. Vitiligo treatment in Mumbai is easily available at the best centres. The cause of vitiligo is the loss of production of melanin from the cells. As de-pigmentation happens, white patches start appearing on the skin in different parts of the body like the inside surfaces of mouth, nose and retina. Since vitiligo appears in the form of white patches it is more noticeable in people with dark skins. Treatment for vitiligo in Mumbai varies according to the patient requirement and skin type. Not all patients desire treatment for vitiligo in Mumbai, some prefer to use makeup to cover the signs of vitiligo. Treatment for vitiligo in Mumbai is a long process and depending on the severity of the vitiligo the treatment can last for up to eighteen months. The first step to vitiligo treatment in Mumbai is to find out the best doctor who can give you the best treatment options for vitiligo in Mumbai. The best doctor for the treatment of vitiligo in Mumbai will listen to you first and provide the necessary emotional support. Any kind of deformity or change in the appearance of the skin like in the case of vitiligo can cause a person a lot of stress. Therefore the first step to treatment of vitiligo in Mumbai is to provide the necessary support to the patient. A good doctor will explain you the various treatment choices for vitiligo in Mumbai and they will help you make a decision quickly. It would also help you if you can connect with other people who have sought both successful and unsuccessful treatment of vitiligo. There are many groups in Mumbai for vitiligo treatment which can help you talk and know vitiligo better. Vitiligo treatment in Mumbai can be availed through several options. However, a patient is required to undergo sustained treatment for 6-18 months. 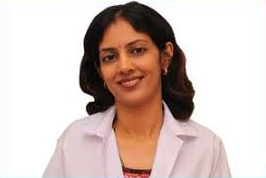 Thus, relying on specialists like Dr. Rinky Kapoor, ensures guaranteed results and fair prices. Dermatologistmumbai.com specializes in Vitiligo treatment with both medical and surgical therapies conducted with specialized instruments and under professional care. Being diagnosed with Vitiligo and living with it is not an easy thing for anyone. It is difficult for Vitiligo treatment and some days are worse than the rest. However, the good news is that you don’t have to live with Vitiligo anymore. Getting Vitiligo treatment in Mumbai, with Dr. Rinky Kapoor at The Esthetic Clinics, is now possible. If anyone told you now that Vitiligo treatment in Mumbai is not possible and is just dream, they are far from the truth. There are some options when you are looking for Vitiligo treatment in Mumbai and some of them are things you can do on your own. So here goes the Vitiligo treatment in Mumbai options! Using sunscreen: Sunscreen is an incredibly important part of Vitiligo treatment in Mumbai. Sunscreen not only protects the skin from the sun for Vitiligo treatment in Mumbai, it also protects the skin from tanning, which may only worsen the skin condition you suffer from. When you are using this Vitiligo treatment in Mumbai, make sure to always use sunscreen that has an SPF of at least 30. Makeup: This is another wonderful Vitiligo treatment in Mumbai, especially if you are undergoing more specific dermatological treatment. Using makeup to cover up your condition is a great Vitiligo treatment idea. Spot treatment with laser therapy: Your dermatologist may also recommend Vitiligo treatment in Mumbai that consists of laser therapy. Depending on how mild or severe your condition is, this kind of Vitiligo treatment in Mumbai may just be the thing you were waiting for. Vitiligo treatment in Mumbai has many forms. For some people, Vitiligo treatment in Mumbai is all about getting the right make up done before stepping out of the house. But for those who don’t want to pursue this kind of Vitiligo treatment in Mumbai, there are treatment options as well. The good news is that unlike previously, Vitiligo treatment in Mumbai has lost a lot of the taboo that was involved and now more patients are eager to get proper Vitiligo treatment in Mumbai with Dr. Rinky Kapoor at The Esthetic Clinics.